By a 4-1 vote, with Chief Justice Brent Benjamin dissenting, the justices ruled that the physical and sexual assaults by Harden’s husband and his threats to kill her and their children informed her state of mind and were relevant to her claim of self-defense. –Where a defendant has asserted a plea of self-defense, evidence showing that the decedent had previously abused or threatened the life of the defendant is relevant evidence of the defendant’s state of mind at the time deadly force was used. In determining whether the circumstances formed a reasonable basis for the defendant to believe that he or she was at imminent risk of serious bodily injury or death at the hands of the decedent, the inquiry is two-fold. First, the defendant’s belief must be subjectively reasonable, which is to say that the defendant actually believed, based upon all the circumstances perceived by him or her at the time deadly force was used, that such force was necessary to prevent death or serious bodily injury. Second, the defendant’s belief must be objectively reasonable when considering all of the circumstances surrounding the defendant’s use of deadly force, which is to say that another person, similarly situated, could have reasonably formed the same belief. Our holding in Syllabus Point 6 of State v. McMillion, 104 W.Va. 1, 138 S.E. 732 (1927), is expressly overruled. –Where it is determined that the defendant’s actions were not reasonably made in self-defense, evidence that the decedent had abused or threatened the life of the defendant is nonetheless relevant and may negate or tend to negate a necessary element of the offense(s) charged, such as malice or intent. –An occupant who is, without provocation, attacked in his or her home, dwelling or place of temporary abode, by a co-occupant who also has a lawful right to be upon the premises, may invoke the law of self-defense and in such circumstances use deadly force, without retreating, where the occupant reasonably believes, and does believe, that he or she is at imminent risk of death or serious bodily injury. In determining whether the circumstances formed a reasonable basis for the occupant to believe that he or she was at imminent risk of death or serious bodily injury at the hands of the co-occupant, the inquiry is two-fold. First, the occupant’s belief must be subjectively reasonable, which is to say that the occupant actually believed, based upon all the circumstances perceived by him or her at the time deadly force was used, that such force was necessary to prevent death or serious bodily injury. Second, the occupant’s belief must be objectively reasonable when considering all of the circumstances surrounding the occupant’s use of deadly force, which is to say that another person, similarly situated, could have reasonably formed the same belief. Our decision in Syllabus Point 2, State v. Crawford, 66 W.Va. 114, 66 S.E. 110 (1909), is expressly overruled. In the Gazette and in our Coal Tattoo blog, I’ve written today about a legal ethics case involving West Virginia’s largest and oldest law firm, Jackson Kelly. To summarize, one of the firm’s lawyers if facing misconduct charges based on allegations that he covered up evidence that a coal miner had black lung disease. The Statement of Charge filed by an investigative panel of the state Lawyer Disciplinary Board against Jackson Kelly lawyer Doug Smoot is posted here, and Smoot’s response is posted here. I’ve also posted copies of the two lawsuits against the firm here and here. As I reported on this, at least one person directly involved in the case suggested to me that such issues shouldn’t be publicized until the proceeding is finished — that the public doesn’t have a right to know about ethics cases involving West Virginia lawyers until the matters are decided one way or the other. — Once a complaint of unethical conduct in an attorney disciplinary proceeding is dismissed for lack of probable cause, the public has a right of access to the complaint and the findings of fact and conclusions of law which are presented in support of such dismissal. — The right of public access to attorney disciplinary proceedings precludes utilization of private reprimand as a permissible sanction. — By-Laws and Rules and Regulations of the West Virginia State Bar which govern public disclosure of lawyer disciplinary matters are unconstitutional under West Virginia Constitution art. III, Â§ 17, when they fail to protect and vindicate the public’s interest in the integrity of the judicial system by unreasonably restricting access to information concerning formal disciplinary actions against lawyers, integral parts of the judicial system. 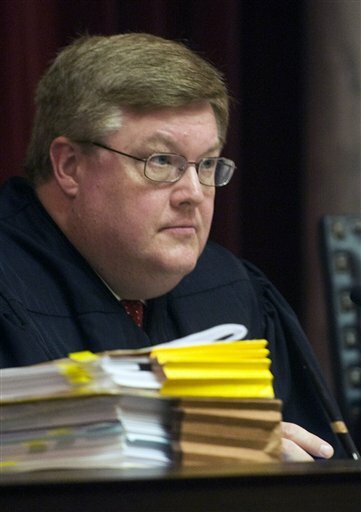 “The West Virginia Supreme Court will follow the U.S. Supreme Court mandate,” the Supreme Court of Appeals of West Virginia said Monday. Me: the Court said? All five justices? Can you clarify this attribution at all? This release is personal and is not a release of the Supreme Court of Appeals of West Virginia. Remember when the Federalist Society couldn’t wait until West Virginia State Supreme Court Justice Joseph Albright had been buried before offering advice about what type of judge should replace him? 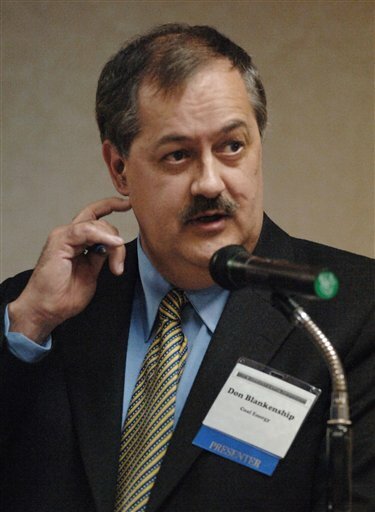 Two of the “experts” made both lists: Blair M. Gardner, a former assistant general counsel for Arch Coal who has represented the coal industry for years; and Luke Lafferre, a personal injury defense attorney who has defended multiple companies from claims stemming from exposure to asbestos, excessive noise, silica and coal dust. Yesterday’s e-mail also offered two new faces: C. Thomas Ludden, a Michigan lawyer who wrote a “friend of the court” brief in support of Massey; and Bradley A. Smith, a law professor at Capital University who served as a commissioner on the Federal Election Commission from 2000 to 2005. June 8, 2009 by Ken Ward Jr.
Friday night at 10:45, Charleston mayoral assistant Rod Blackstone e-mailed me a statement on behalf of Mayor Danny Jones and Police Chief Brent Webster (pictured below). The statement came in response to the acquittal of Keith Peoples less than an hour before. Peoples is a Charleston police corporal who was accused of double dipping. â€œThe investigation into double-dipping by members of the Charleston Police Department began when the former Police Chief discovered that Officer James Nowling had been paid for the same hours on at least two payrolls, including the Charleston Police Department.Â An investigation produced evidence that Officer Nowling had been paid by Charleston taxpayers for 1700 hours for which he was on the clock for at least one other employer — and at times two others — for the exact same hours.Â He made allegations that such double-dipping was rampant in the Charleston Police Department.Â So in November 2006, we asked the Kanawha County prosecuting attorney to investigate whether that was indeed the case or not.Â As a result of that investigation, a jury found Mr. Nowling guilty, and three other officers pleaded guilty. I hope to have more to report on double dipping soon. But in the meantime, I just ran into Peoples and Dwane Tinsley on Virginia Street, on their way back from City Hall. Peoples, still smiling from Friday, was carrying his service belt and other professional effects in a cardboard box. He said he had been cleared by Webster to go back to work. The news about domestic violence is so often tragic and brutal — such as Thursday’s conviction of a former prison guard for beating his 5-year-old daughter to death — that I thought I’d highlight some recent positive developments. In addition to providing information about West Virginia’s now-active electronic domestic violence protective order registry, the two-day seminars brought together various people (law enforcement, prosecutors, victims’ advocates, judicial officers) who routinely deal with batterers and their victims. Attendees spent part of each summit brainstorming about how to best develop a new protocol for handling domestic violence cases, with a special focus on removing guns from the equation. Some of the people who commented on my last post think that the Gazette unfairly focuses on the West Virginia State Police and gives other agencies a free pass. I’m not sure that Charleston Police Chief Brent Webster and Kanawha County Chief Deputy Johnny Rutherford would agree, because I have had conversations a lot like the one I described with both of them on more than one occasion. There’s a difference between making a complaint and filing a lawsuit. To me, it’s analogous to the difference between someone walking into a police station and saying, “My neighbor stole my lawnmower” and an officer filing a criminal complaint actually charging the neighbor with theft. That’s the standard answer reporters get when we call a ranking officer at a law enforcement agency and ask if any steps have been taken regarding an allegation of officer misconduct. “But the public has the right to know if public servants…” we counter, only to run into another stock reply: “The results of internal investigations, if one was conducted, are confidential.” And that’s usually the end of it, because both of us know that internal records are protected by a Freedom of Information Act exemption, and if the police don’t volunteer any additional information, the press has no way of compelling them to produce it. I ran into this very issue when I tried to figure out last year if any disciplinary action had been taken against any of the four troopers — Jason S. Crane, Paul A. Green, Kristy L. Layne and John K. Rapp Jr. — reportedly involved in the alleged June 2007 beating of Charleston lawyer Roger A. Wolfe while in police custody (and the alleged effort to cover up the incident). Astute Gazette readers will recall that Layne was the trooper who issued tickets outside former Kanawha Circuit Judge Lyne Ranson’s wedding in July 2007. (Ranson told the Gazette that she felt that Layne and her boyfriend W.C. Moyers, a Kanawha County Sheriff’s deputy, targeted her guests because Ranson represented Moyers’ ex-wife in their divorce proceedings.) That incident led to Gov. Joe Manchin, who attended the reception, calling Kanawha County Sheriff Mike Rutherford at home.